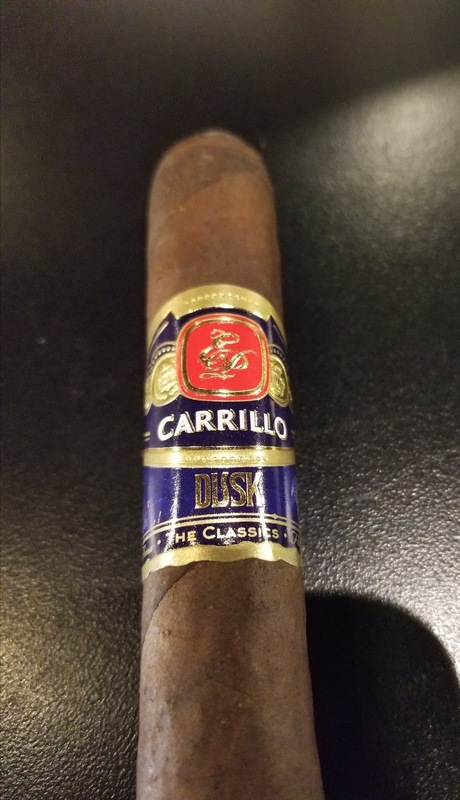 Background: Rated as one of the top 25 cigar of 2017, EP Carrillo has put forward a product that is a tribute to his favorite time of the day - Dusk. 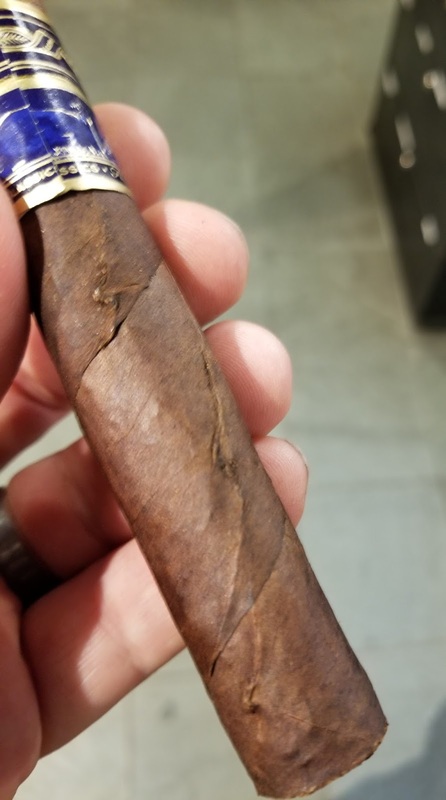 This comes with a rich Connecticut broadleaf wrapper, Nicaraguan filler, and an Ecuadorian binder. Appearance (0-20): There is kind of a bait and switch happening here with the Dusk. When I went to pick the stick up it looked great. The gold, blue, and red on the band all work well together and give it a nice contrast against the stick. 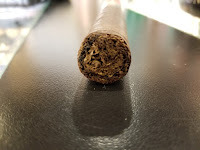 The Connecticut broadleaf on there looks rich and flavorful, and really quite beautiful. That is until I turned the stick over to reveal a couple of large ridges in the wrapper. Seeing this I picked up a couple of others from the same box and found there are a decent amount of imperfections across all of them. Not a great way to start things off, but hopefully it wouldn't cause any issues with the actual smoke. Strike one, regardless. Construction (0-20): Strike two happens pretty quickly after looking at the stick. I can actually feel a couple of pockets close to the foot that are... lets say poorly filled to be nice. By putting just the slightest amount of pressure there, it created a divot that can be see in the picture showing the burn line (its along the wrap itself). Yet the issues didn't really have any affect on the way it burned (which was even), how it held (multiple inches at a time), and how it drew (just slightly loose). Flavor (0-20): With nothing more than a puff, strong cedar and bitter coffee flavors come through. There is something sweet that I can't place, but it works well to balance the bitterness. there is a hint of pepper on the retrohale but nothing too crazy. As it progresses further there are some hints of chocolate and a little nuttiness. The chocolate continually amps up and takes over, leaving the rest of the flavors as a mere footnote (pun intended) in comparison. Honestly, the melding of those flavors in the background is superb and continues through the remainder of the smoke. 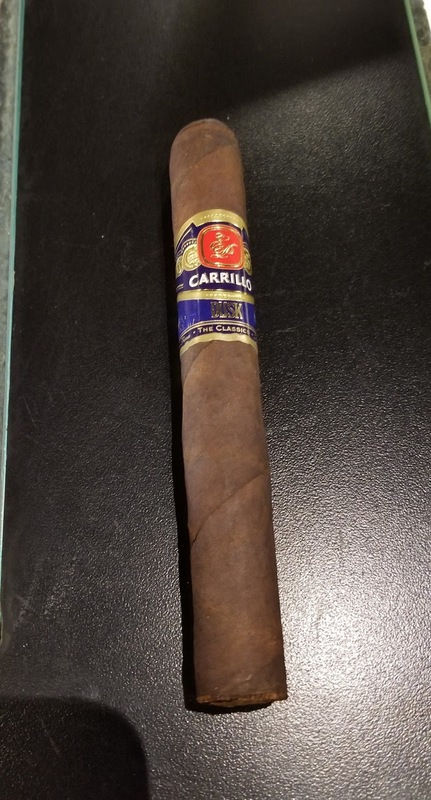 Value (0-20): This is a big stick at about an $9.00 price - and from a flavor standpoint its worth it. However, its still a bit on the high end given the overall makeup of the cigar and some of the issues I noted with both the appearance and construction. I'm not willing to call strike 3, but it was a close call. Overall (0-100): If we are talking flavor and flavor alone - this cigar my be worthy of being a contender for one of the top 25 cigars of 2017. Personally I don't get it. 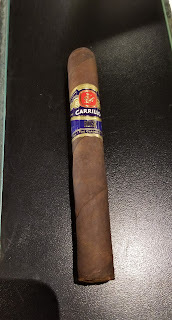 There are so many missteps from Carrillo in terms of quality control that I just can't brush under the rug. Cigars, by their nature, are going to be imperfect beasts. That doesn't mean they need to look completely rugged though, which is how the Dusk seems to have been made. 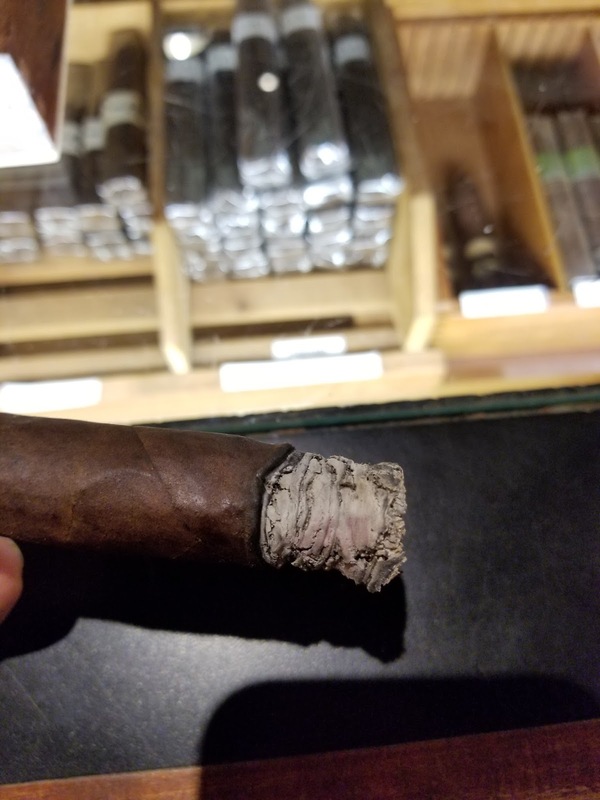 I am completely unimpressed with the overall look and feel of the stick, but the redeeming point to it is the strength and flavors are on point. 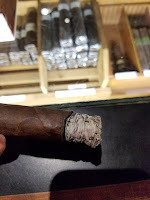 This medium to full smoke has great flavors of chocolate, cedar, nuts, bitter coffee, pepper, and an inherent sweetness. I feel like this is one I will revisit in the future because of its flavor alone - but is it really worth the top 25 rating it received?